Nate Wright truly believes he has a great destiny. It is a shame he has a strange dad and a perfect sister. Also it doesn’t help that he’s not so good at school. He especially hates tests. Then he gets a fortune from a fortune cookie that says ‘Today you will surpass all others.’ This excites Nate and he is determined to see that this happens so others can recognise his greatness. He tries one thing after another including trying to speed eat green beans, but so many things go terribly wrong. Instead of a great day it is turning out to be terrible. Sometimes fortunes don’t work the way we think they will. 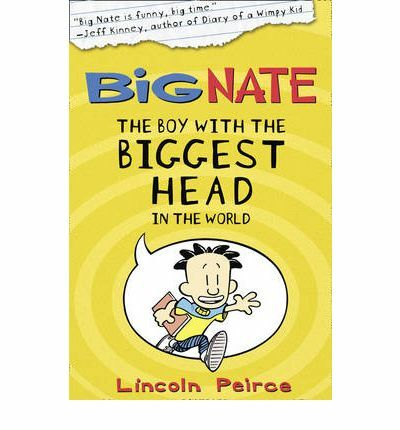 This is a very silly and funny book reminiscent of the Wimpy Kid books (which it may have inspired), and makes it a good choice for those that have read all of those books and are looking for something else to read. Nate however, seems somewhat naughtier or unluckier (or both) than Greg. There is something appealing about Nate for all that disaster seems to follow him. I know I am repeating myself but this is a lot of silly fun.